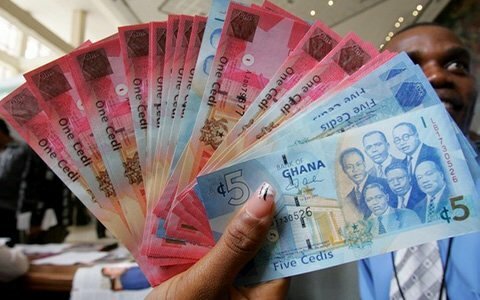 Ghana is now close to having the right to join the common currency for West Africa that the sub region’s various member states have been working towards for several decades. Having met all but one of the many economic and financial criteria for becoming part of the single currency zone all that is left is for the country to meet one last convergence criterion before replacing the cedi for the impending ECOWAS single currency. At the end of 2018, the country had met three out of the four Primary Convergence Criteria and both Secondary Criteria. At the 41st meeting of the Convergence Council Of Ministers and Governors of Central Banks of the West African Monetary Zone (WAMZ), the Finance Minister, Ken Ofori-Atta indicated that the last criteria outstanding for Ghana is to meet the regional fiscal deficit target of 3.0 percent of Gross Domestic Product. However this is unlikely to be achieved this year. Ghana’s fiscal deficit was 3.9 percent of its rebased GDP at the end of 2018, compared to a target of 3.7 percent in the rebased series and for 2019, the target has been raised to 4.2 percent which would take the country further away from the regional criterion, rather than closer. Besides, even if Ghana does fulfill the final criterion it is highly uncertain whether the country will opt to join a common currency that as yet comprises only francophone countries in a currency zone that effectively surrenders its monetary sovereignty to France, which underwrites the francophone West African single currency in its current form. The Primary Convergence Criteria for membership of the West African common currency zone are: a budget deficit to GDP ratio of not more than three percent; an average annual inflation rate of less than 10 percent; Central Bank financing of the Budget Deficit of not more than 10 percent of the previous year’s tax revenue; as well as a gross external reserves of greater or equal to three months of imports. The secondary criteria requires a nominal exchange rate that neither appreciates or depreciates by more than 10 percent over the previous year and total public debt to GDP ratio of not more than 70 percent. As part of measures by Ghana to ensure fiscal sustainability and promote budget credibility, the Fiscal Responsibility Act was passed in December 2018 to cap the fiscal deficit at not more than five percent of GDP and ensure annual positive primary balance at all times although this is looser than the common currency eligibility criterion. Although there remains a lot to be done in achieving nominal convergence, the Minister noted that significant progress has been made in real convergence for the WAMZ. This includes achievements in the payment systems project, the harmonisation of policies and preparation of model laws for the financial sector in the WAMZ as well as the establishment of the WAMZ College of Supervisors and other platforms for the integration of the capital markets and insurance sectors. “This momentum must be maintained and so as to deepen the real convergence gains for the zone,” Ofori-Atta said. It is envisaged that this WAMZ will be merged with the West African Economic and Monetary Union (Union Economique et Monétaire Ouest Africaine – UEMOA) to form a single monetary zone in West Africa. UEMOA is made up of eight West African countries (Benin, Burkina Faso, Cote d’Ivoire, Guinea Bissau, Mali, Niger, Senegal and Togo), with a common currency, the West African franc (CFA Franc), which is pegged to the Euro through the auspices of the French treasury. ECO was the proposed name for the common currency that WAMZ originally planned to introduce with the aim is to merge the ECO with the West African CFA Franc, ultimately creating a common currency for West Africa. The Heads of State of five countries in West Africa, as part of the fast-track approach to integration, decided in Accra, April 20, 2000 to establish a second monetary zone to be known as the West African Monetary Zone. These countries, namely The Gambia, Ghana, Guinea, Nigeria and Sierra Leone, signed the ‘Accra Declaration’ which defined the objectives of the Zone as well as, an action plan and institutional arrangements to ensure the speedy implementation of their decision. The initial date for the launch of the single currency was January 1, 2003 but this was postponed to July 1, 2005 due to Member States’ inability to comply with all the four primary criteria simultaneously and on sustainable basis. The Zone witnessed further postponements to a new date for the launch of the single currency on or before January 1, 2020. Finally however ECOWAS leaders decided to abandon the double track strategy and go straight for a common currency for all countries in the sub region.